I don’t remember when I first had Ranch Style Beans. It was definitely in the 1960s when I was a young boy. When I was a young adult in the 70s my favorite burger joint would serve ranch style beans and curly fries with their burgers. They were great. You could always spot the can from a distance while shopping. There was and is no can like it. It was a black and yellow label with bold white lettering proclaiming ranch style beans. I always liked them and they were the only beans I would eat from a can. They are a dark reddish brown color and have a nice earthiness to them with a great depth of flavor and a little brightness. They are a wonderful accompaniment to hamburgers, grilled meats, and barbecue, not to mention simple sandwiches. I would even take them on scouting camp outs. Over the years I have played with making my own ranch style beans. I haven’t made them since Baby Lady and I got married so this was something totally new to her. 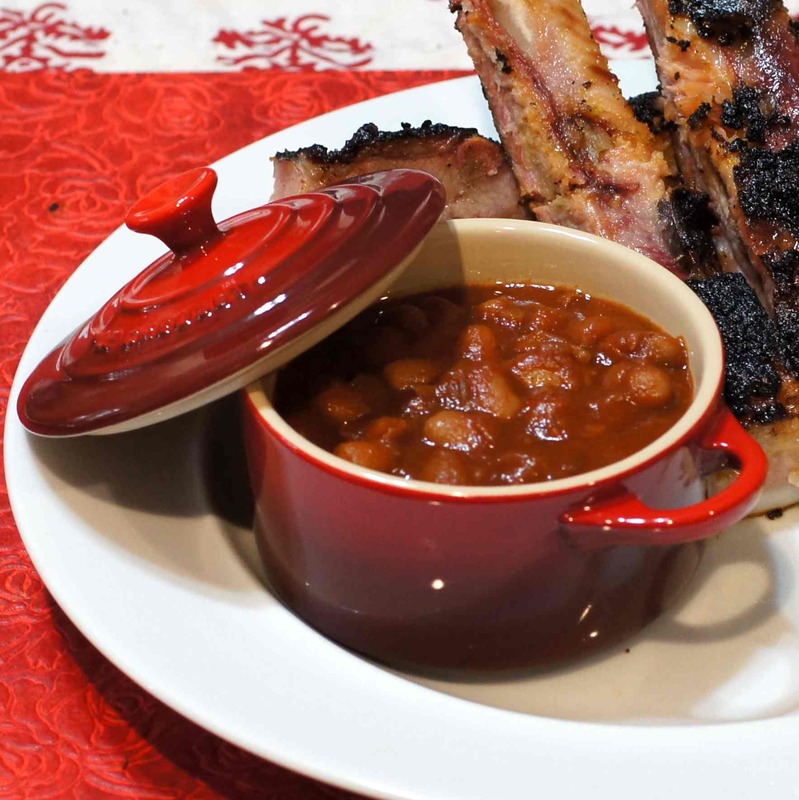 They really are great and something you should try at your next cookout or barbecue. You will be glad you did. Stem, seed and lightly toast chiles. Place chiles in a medium bowl. 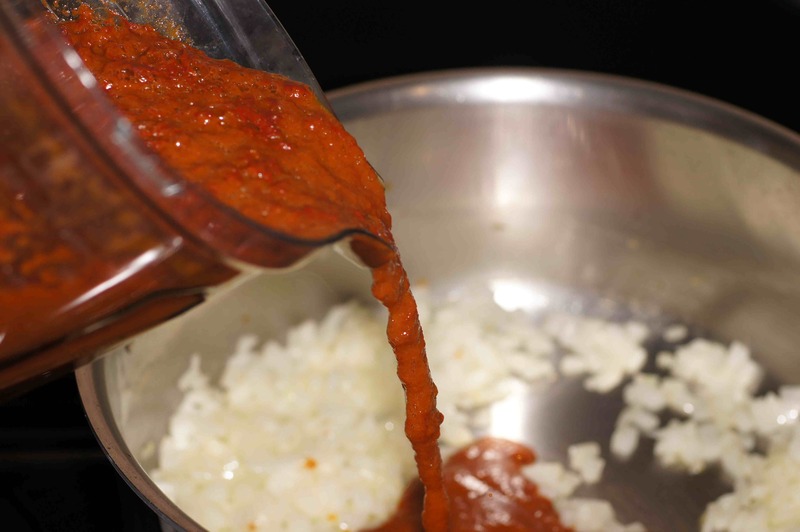 Bring 2 cups of chicken stock to a boil and pour over chiles. 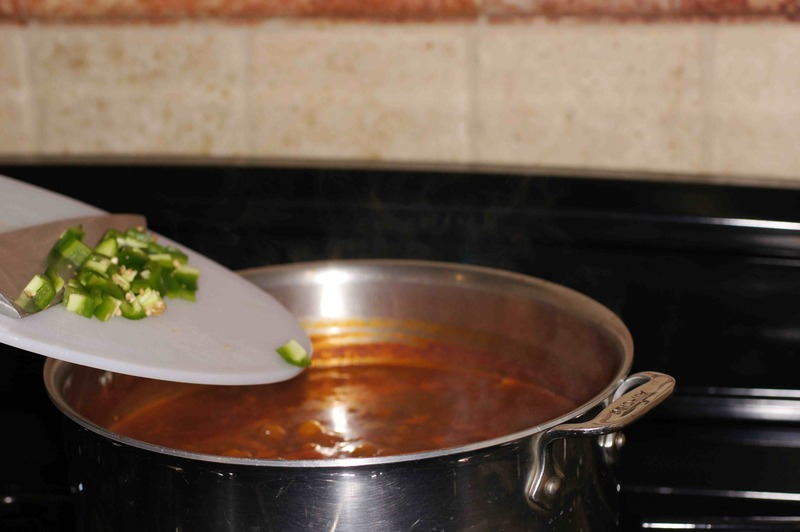 Set a small plate or bowl on chiles to keep submerged and soak for 30 – 45 minutes to soften. 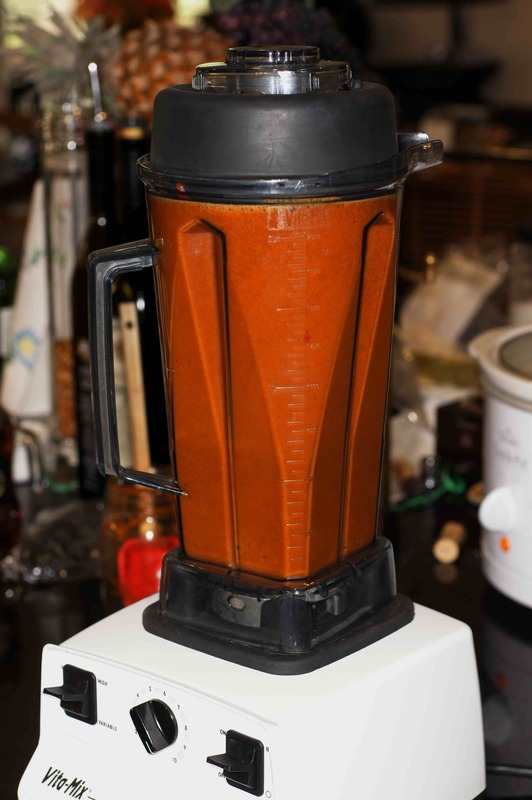 When softened, add the chiles and liquid to the blender. Now add 1/2 onion, oregano, garlic, 3 cups of the remaining chicken broth, tomato sauce, tomato paste, oregano, cumin, piloncillo, cider vinegar, smoked bittersweet paprika, freshly ground black pepper and blend on high. 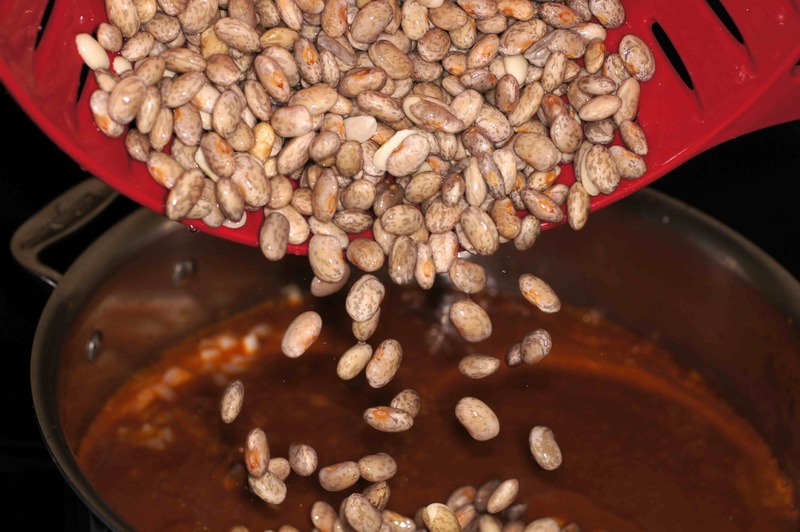 Do NOT add the salt at this time because salting the beans at this stage causes the skin on the bean to become tough. Add 2 Tbsp olive oil to large dutch oven/pot over medium high heat. 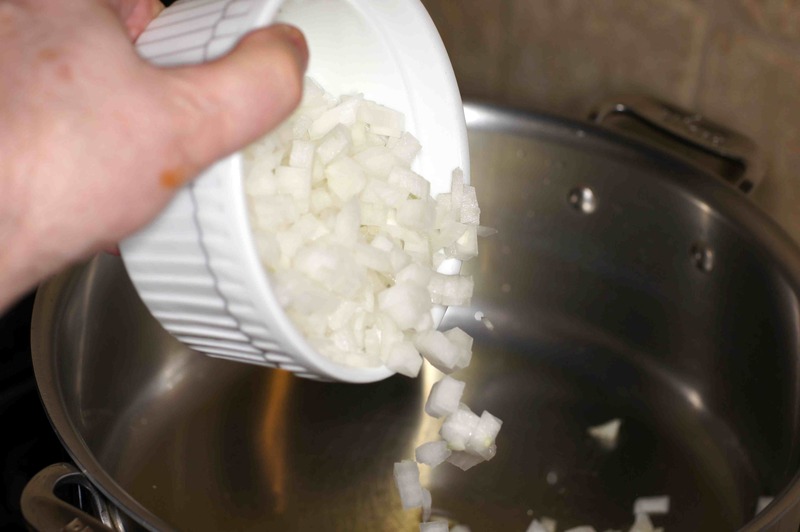 Add diced onions. Now add the drained and rinsed beans. 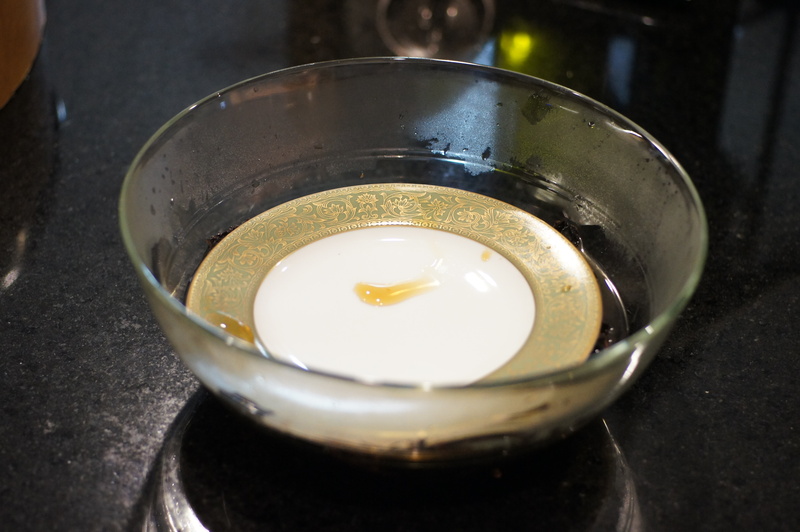 Bring to a simmer, stirring occasionally to prevent scorching. How funny! Love the cocotte that the beans are in as well! Richard, you have a knucklehead???? At least with daughters you can’t do nicknames. At least not out loud!!! Four sons… Oh my. Of course, that probably equals two daughters. Or maybe even one! Here’s to our empty nests! You get to cook volumes when everyone is home! That part is fun! Oops sorry I remembered it wrong. Not being a native speaker (and not being Mimi…) I’m not sure about the difference between knothead and knucklehead so that’s why I mixed them up. I’ve not had beans like that… sounds very good! 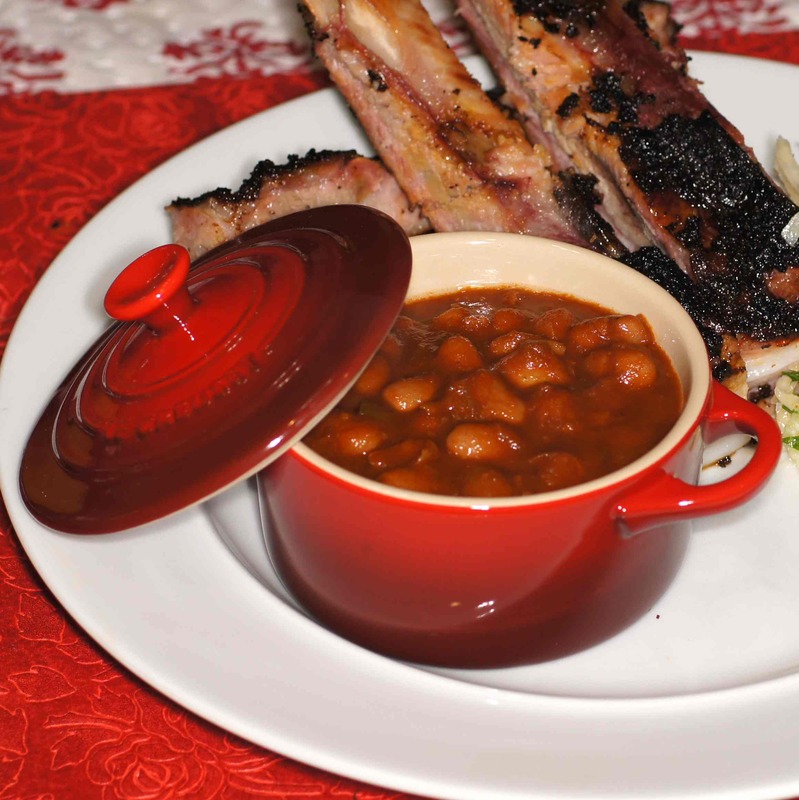 Richard, I did post on my blog too about Ranch Style Beans! “Husband Pleasin'” is what the can used to say! I grew up in Texas and they were a staple on our table for dinner. I am glad I found a recipe for them as I am not as fond of the Ohio/Tenessee version of the beans, they definitely changed the recipe in the sell to Conagra. Many thanks! Hi, Kathryn. Yes, I do remember the “Husband Pleasin'” on the label. I haven’t bought a can of Ranch Style Beans in many, many years although I do like the beans. I just prefer to make things from scratch. 🙂 These are very good although they don’t quite taste the same. 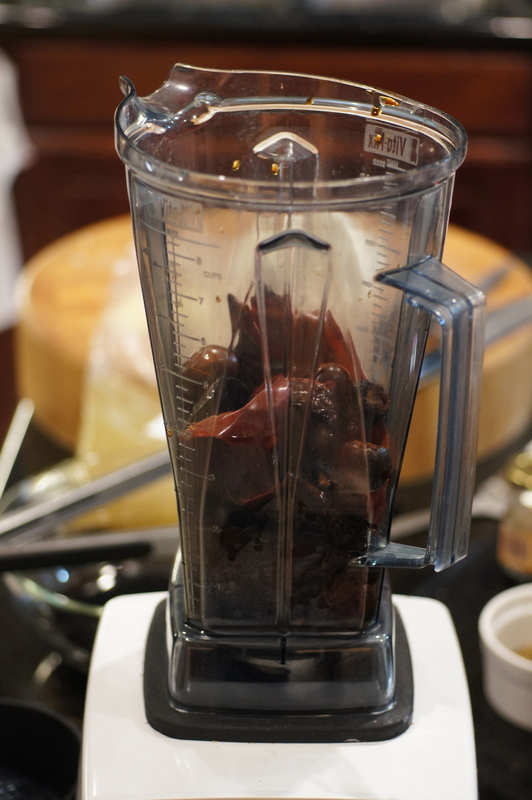 If you want the same taste, use only ancho chiles and homemade beef stock. 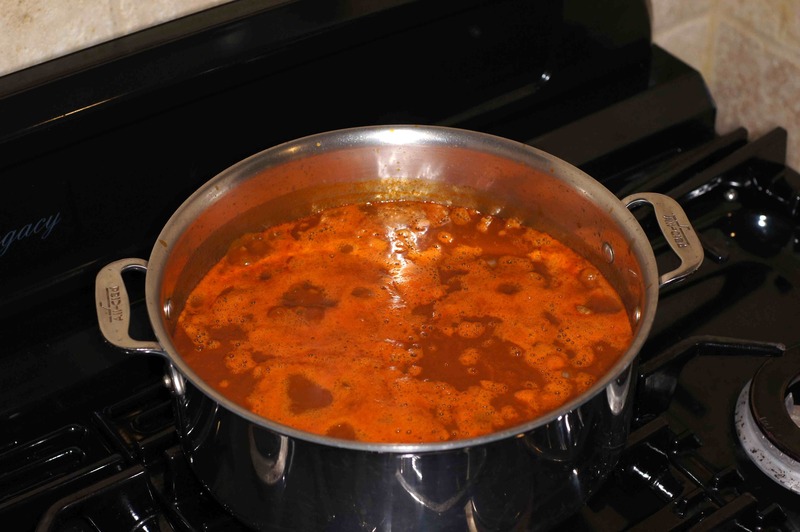 I agree about making from scratch, and in fact, I have a large batch of homemade beef stock in the freezer and a package of dried ancho chiles in the pantry. I do hope to try my hand at these soon. Thanks! Oh my! We can leave it to you to devise a recipe with so many different types of chile peppers, Richard. Slow cooked beans are an obsession of (my little sister) and I! Without a doubt one of the tastiest things you could make, (canned varieties) are incomparable and the smkey BBQ flavour of these would be incredible. I can tell!!! I can see those chillies being put to good use & soon! I could totally eat these for breakfast too! We’re the odd type of Sydney folk who still use their BBQ in winter, this recipe is definitely going to come to use & soon (with those chillies.) Often my home made beans are a lot lighter, (less depth) like your beans. I’ve got to get the balance of the chillies and sugars right for the caramelisation!